Earlier this month, we talked about our vision of the future where messaging could possibly topple apps as one of the main ways that brands communicate with their customers. We had the pleasure of having a presence at Mobile World Congress to showcase how we’ve been working with Google and their new Rich Communication Services (RCS) standard to improve mobile ordering and marketing messaging for Subway. While RCS may still be in its infancy, the possibilities are near endless, and the ability to pull many functions “usually confined to apps” within a text message could prove to be highly fruitful for brands. 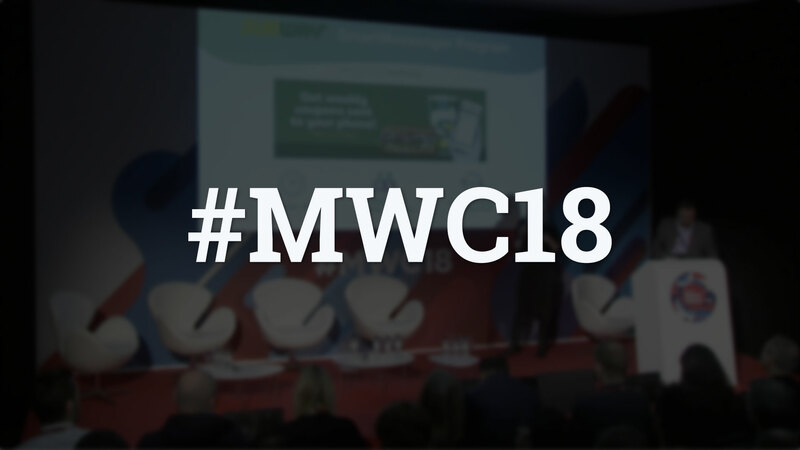 Below is a presentation on using messaging as a platform with tools like Google’s RCS Messaging Program, presented at Mobile World Congress 2018 in Barcelona by Laura Balinskas, Senior Digital Marketing Manager for Subway, and David Galante, Senior Vice President of Product for Mobivity. Let us know what you think! Interested in learning more about what re•ach, RCS, and the re•currency suite could do for your business? Give us a call at (877) 282-7660, chat with our team on this page, or fill out the form below to get started today. Ready to learn more about creating more intelligent and personalized marketing campaigns? Mobivity can help get you there. Schedule your personal demo today!